Pet Fed has announced their dates for this year with Delhi’s fourth edition. NEW DELHI: With the aim of creating a strong bond between you and your pets, bringing a chance for you to be among thousands of dogs, pet fed 2017 has revealed its schedule. Pet Fed has announced their dates for this year with Delhi’s fourth edition scheduled to be on 2-3rd December 2017. In addition, this time as a surprise for all the pet lovers, Mumbai’s debut comes on 16-17th December 2017. Pet Fed has released a promotional short video that talks about the unconditional love, which humans from all walks of life are compelled to receive by animals. Animals portray the true essence of unconditional love. The video shows an adorable Retriever puppy cuddling with people of different backgrounds without any prejudice them. Pet Fed, India’s biggest pet festival, celebrates the same love jovially which our pets shower on us, at its festivals held across India. 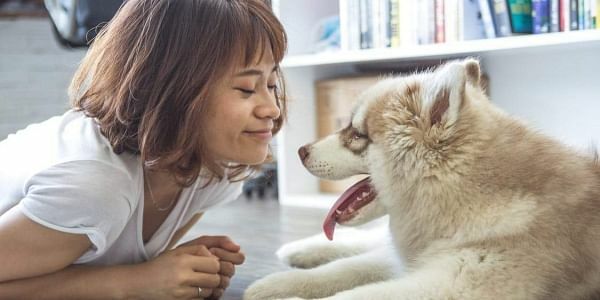 The two days of fun and compassion at Pet Fed encourage fellow humans to come out with their furry babies and strengthen their bond by spending time with their pets in numerous activities, attending workshops, and witnessing various stalls.